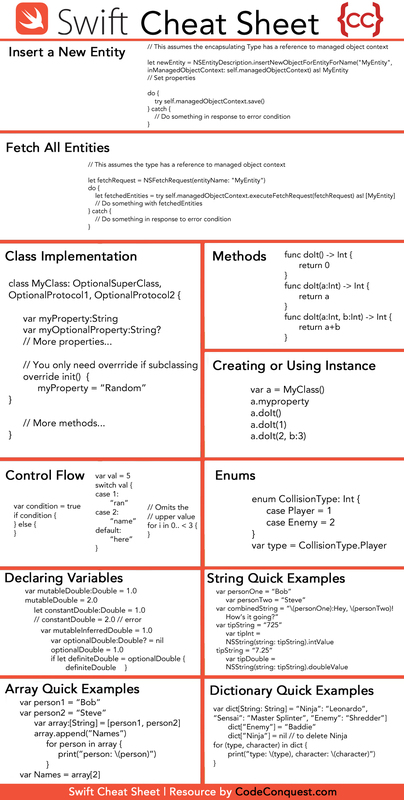 The Swift cheat sheets we provide contain common syntaxes and data properties. They’re handy when you find yourself stuck and need help getting past an error. We offer our Swift Cheat Sheet in two formats: standard JPEG, and PDF. Feel free to download the format that’s more convenient for you!